It’s time to showcase the Robot Launch semifinalists, or ‘The Shortlist’. Every week over the next month you will meet 9-10 very interesting robotics and AI startups from all over the world and you will have a chance to vote each week on their short pitch video. 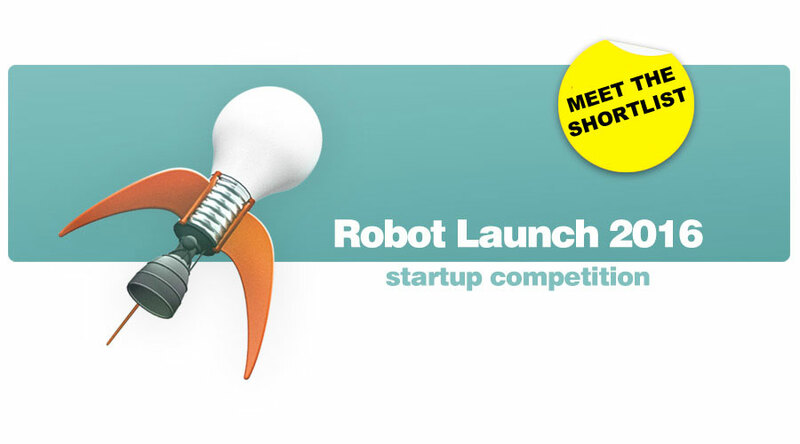 The most popular startup overall will be awarded the Robohub Readers Choice award. The Shortlist startups range from agricultural to humanoid, from consumer to industrial and from hardware to robotics software. Some are so new they don’t have names yet. But in alphabetical order “The Shortlist” is: Aatonomy, Acro, AirZaar, bridgeOS, Choitek, Cubit, Emobie Labs, FoldiMate, Franklin Robotics, Halodi, Industrial robots with 3D vision, Internet of Robots, Kamigami Robots, LabsCubed, Modular Science, Mothership Aeronautics, MOTI, Parihug, Robolink, Robotics Materials, Robotics platform for EDU and DIY, SD3D, Semio, Bioprint startup, Tactile Robots, The Virtual Robotics Toolkit, Track mounted mobile robots, UniExo, UnNamed and ViDi Systems. While you are voting for your choice, our panel of top VCs and investors will be giving feedback to the startups and selecting startups for regional and industry awards. Judges include Intel Capital, Grishin Robotics, Root.vc, Comet Labs, InnoSpring, PropelX, QUT bluebox, ElevenTwo Capital, Sony Ventures, Singularity U’s Explorers Fund and Robotics Hub. Odense Robotics and Invest in Odense can offer an incubation award for the Best European Startup team (2 persons) as follows: Travel to / housing in Odense, 1-month for 2 persons in Odense (travel/housing value 1500 USD), access to all Odense Robotics StartUp Hub facilities, Robot Innovation Hall, the other startups in the Hub, for one month (during May / June 2017), preparing for the JUNE PITCH SESSION – for the board of Odense Robotic StartUp Hub where they might be selected as one of two StartUps to enter the Odense Robotic StartUp Hub (12 months). Silicon Valley Robotics will offer a startup membership to all of The Shortlist, providing introductions to investors in Silicon Valley, access to network events and hosting in the new Robot Launchpad accelerator space. We are also coordinating demo opportunities at expos around the world. There’ll also be “most promising startup awards” for MENA and Australia/NZ from other robotics cluster and entrepreneurial organizations; MENA and QUT Bluebox.